Église de Saint-Germain l'Auxerrois (the Church of St Germain of [the province of] Auxerrois, in Burgundy) is situated opposite the palace of the Louvre, north-west of the Ile de Citie. 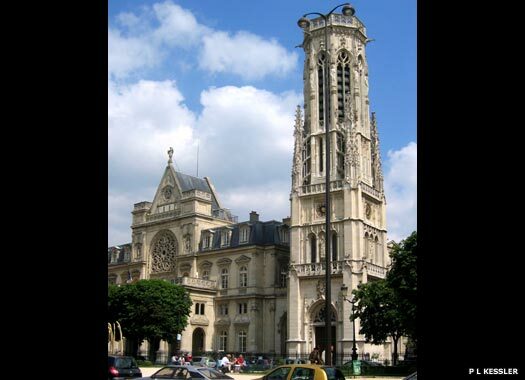 Founded in the seventh century, it was considered to be the church of the kings of France. 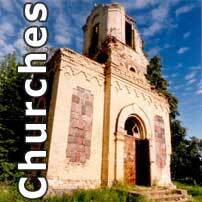 The current building was erected in the twelfth century. Subsequent centuries saw many alterations made to the building, resulting in a mixture of Roman, Gothic, and Renaissance styles. 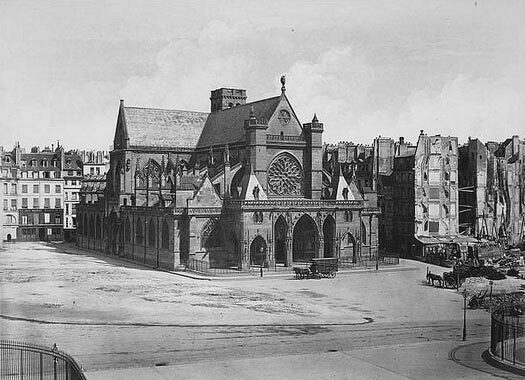 Seen here in 1858 during the reconstruction of the district, the church was without the tall tower which was built subsequently. During the Wars of Religion, it was the bell in the smaller tower (behind the nave), named 'Marie', which sounded on the night of 23 August 1572, marking the beginning of the St Bartholomew's Day Massacre. Thousands of Protestant Huguenots, who visited the city for the wedding of Henry of Navarre, were killed by the Parisian mob.